With many major home remodeling jobs, the floor plan is affected in some way. In many instances, the floor plan will be the first thing to be evaluated. Taking measurements for the installation of new fixtures is not the same as assessing the floor plan. And without this crucial step, the project could have costly mistakes. While the wall sizes and the square footage are important considerations, the design and drawing phase covers more than these factors. · The designer will create a plan based on your needs. · The designer will take into account the rest of the home to maintain consistency in the design. · The drawing will make it easier for you to set your own plan for the remodeling project. The precise measurements will help in purchasing the right amount of materials. · A designer will help you to create that delicate balance between style and function. The plan will take into account the elements of the structure, so you will know exactly what types of modifications are possible. Inefficient design that arises from poor planning can lead to wasted space if you are building a new home or doing an addition. The plan should include furniture and fixtures, so you know how they will fit into the space. If there is extra space in the plan, you must think about whether you really need it, or if it can be utilized in some way. Remember that any space you don’t need equals additional maintenance spending that could be utilized elsewhere. Talk to your designer to make sure that your needs are understood, and that this is reflected in the plan for the remodeling. You don’t have to struggle to come up with ideas for your kitchen and bathroom if you take a look at the latest trends. A good way to start to is to visit local trade shows where suppliers put their latest products on display. These products usually come about from closely observing changing consumer tastes and suggestions made by designers. This leaves little room for doubt in the minds of homeowners as to what are the best products for their homes. 1. Appliances. The appeal of stainless steel appliances grew steadily for years, but many experts expect to see a decline in 2019. Anyone who wants to make a statement in the kitchen should consider the increasing range of colors and styles. Suppliers are still offering stainless steel, but these appliances can make the kitchen look older. 2. Minimalist design. Storage has always been a prime concern for kitchens, but getting rid of upper cabinets can open up the space. This is not a new trend, and it has been gaining steam in recent months. 3. More color. White has been the go-to classic in kitchens for decades for its clean look. Now experts recommend a more adventurous style with warm wood, and painted cabinets. Greens, blues and even black will be hot colors in kitchens for this year. 4. Colorful sinks. In the past stainless steel has been the standard, but sinks can now add more color to kitchens as well. Options include copper, acrylic and composite materials. Many metal sinks now have stamped decorative features that add more beauty to the kitchen. 1. Shower enclosures. This is a standard bathroom fixture, but they will play a bigger role in enhancing the décor. Using stained glass opens up a world of color and design possibilities for both framed and frameless types. 2. Fixtures with color. Stainless steel is becoming a thing of the past in bathrooms as well. Some of the great options for faucets include copper, satin bronze and polished nickel. There will be more emphasis on layered lighting for a brighter bathroom, and these fixtures are available in a range of finishes including satin, bronze, gold and wood. 3. Spa features. The bathroom will take on greater importance as a place for relaxation. Features like waterfall systems and chromatherapy lighting will help to create the desired atmosphere. 4. Smart toilets. Smart features are becoming the rage in modern home design, and the bathroom is not being left out. Many toilets have features such as heated seats, hands-free opening and closing, and ambient lighting. Matte accents will feature heavily in both kitchen and bathrooms this year. They not only help to highlight, they can add some warmth to limited color palettes. There is no doubt that you can think of plenty of reasons to remodel your home, but there may be a few reasons why you can put it off for another few months. A major home remodel is a major investment which can help to enhance your way of life and the enjoyment of your home. Unfortunately, too many people start home remodeling projects without a full idea of what they are trying to achieve. Here are some ways to be sure about your reasons for remodeling so you can avoid pitfalls and make the best use of your budget. People will decide on a remodel for a host of different reasons. After ten years, your kitchen might still be in good shape, but at that point it may start look dated. It is reasonable to want a modern kitchen, but this has to be weighed against affordability and the condition of other parts of the home. It is important that your home suit your lifestyle, and many people remodel for this reason. Generally, remodeling is considered essential if there are quality-of-life concerns. In cases of disabilities or the desire to age-in-place, remodeling can continue to ensure independence. However, increasing comfort is another good reason to consider a remodeling job. A home expansion for a growing family is a good example. A major home remodel is costly, so there will be a need to prioritize. You should have clear goals that will set the course for the remodeling work. An easy way to go about this is to take a look at your home and identify the flaws. Make note of signs of damage or wear and tear such as cracked tiles, peeling paint or rotting wood. You should also be concerned with issues like inadequate natural lighting or limited storage. Once you have a list of problems, it will be easier to set your remodeling goals. This also applies when you are remodeling simply for an updated look. Generally, it is wise to target the entryway to make a good first impression, the kitchen and the bathroom. You must decide whether you simply want to refresh the space, or whether you want to catch up with the latest trends. Good communication with a contractor can further help in defining your motivations for remodeling. Visit websites and look at magazines to create a list of ideas that will help you to visualize what your home could look like. Every home remodeling project should be taken seriously. The potential for mistakes always exists, and these can sometimes drive up the budget. Understanding these potential missteps can keep your budget on track, and help you to realize your goals quickly. 1. Failing to plan. Every remodeling project should start with a plan. The plan is a reflection of your goals, and it outlines exactly what you want to achieve. It also aids in monitoring the progress of the work. 2. Choosing a contractor too quickly. Going with a contractor just because of low rates can be risky. You need to hire only qualified professionals to work on your home. It is important to get more than one quote so you can make comparisons. Remember as well that there are contractors who specialize in different types of jobs. 3. Not repairing damage. You should not attempt to improve the look of the home without addressing the problem areas. If you are adding new light fixtures, for example, it may be necessary to replace old wiring. Fix leaky pipes and check for signs of rot or other types of damage. Otherwise the new installations could be affected later on. 4. Not dealing with permits. Permits are required for different types of home remodeling jobs. Make sure that you will be in compliance before the work starts. You could face fines, or even worse, you may have to remove new installations. 5. Ignoring neighborhood covenants. Covenants govern the look of the exterior of homes in the neighborhood. If you make changes that are not in compliance with this agreement you could face the expense of removing any additional work. There are instances where you can apply for a waiver, so try doing this first. If you are unsuccessful, then you will have to make changes to your remodeling plan. 6. Failing to prioritize. In remodeling, there will always be jobs based solely on aesthetics. Generally, it is better to start with remodeling that impacts quality of life or that deals damage or worn areas. 7. Taking on too much DIY. Doing some jobs yourself can be a money saver, but it can also be a waste if you lack the necessary skill. Be realistic about what you can do, and leave the bulk of the work to professionals. Talking to neighbors is a good way to ensure that your project takes the correct course. They may even be able to recommend contractors who have worked on other homes in the area. These days, more people are working from home, and setting up an office helps in staying organized and being productive. To achieve this however, you have to put some thought into the kind of space you want to create. Here are some ideas for making the ideal home office for your needs. 1. Function comes first. It is easy to get caught in the idea of making your office space attractive, but remember this is meant to be a work area. You should first focus on adding the elements that encourage productivity. Carpeting and a solid door can help to cut down the noise coming in. If possible, use a space that has a window so you can get as much natural light as possible. The size of the desk and any other furniture are important, as you need to be able to move around comfortably. 2. Choose the right color. The color you use should not necessarily be based on your personal preference. Blue is usually regarded as an intellectual color, while yellow can enhance your mood. Green can work in a home office as it reflects nature and adds warmth. Choose a color that works best with the productive environment you are trying to create. 3. Make it part of the home. Although the office is a separate space, aesthetically it works better when it fits the rest of the interior. You can use similar lighting fixtures and flooring to bolster this concept. 4. Add storage. One thing you should avoid in your home office is clutter. Storage options should be simple but adequate. A single cabinet may serve your needs, but adding some shelves will help to accommodate an increasing workload. For a more polished look, consider adding floating shelves. 5. Make electrical adjustments. Since the space you choose for the home office might not be set up for this purpose, you will have to make it work for your equipment. Installing one or more outlets may be necessary to prevent overloads. You also need to ensure that you can get a good wifi signal. 6. Good lighting. Even if you get plenty of natural light in the daytime, you will have to think about late hours. The office should be properly lit, with a main light source, and another for the work area. Other light sources may be necessary, but this depends on the size of the office. 7. Utilize multifunction features. Make the most of the space with multifunction furniture. Instead of a cabinet, consider a storage bench for your files. A chair that doubles as a stepladder can help in reaching high shelves. Consider a sofa bed that folds out so you can quickly convert the office into an extra bedroom for guests. 8. Convert extra space. If you don’t have a separate room to use as an office, do not give up on the idea. Even a space as small as a reading nook can serve the purpose with a fold-out desk and a bench or chair. You do not have to spend a lot to get a home office to suit your needs. Anyone who is remodeling the home should consider modifying a space or doing a bumpout for this purpose. If you have done a kitchen remodeling project before, the second one should be less of a challenge. However, there can be a few challenges for first timers, and even second timers. Balancing looks and function is never easy, especially when new trends and products come out. Asking some basic questions will help your planning in a big way. Here are five of the most important questions to ask before you get started. 1. What are your remodeling goals? You first need to think about your reason for remodeling the kitchen. Do you simply want an updated look, or is the space looking a bit shabby? If you find that the kitchen lacks functionality, this should factor into your remodeling goals. If you are remodeling the kitchen with the hopes of selling the home, this will impact the materials and style, since it has to be based on what homeowners are looking for. 2. How big is your family? A home with a large family will have a kitchen that is frequently used. You decisions should be based on the amount of traffic you can expect in the kitchen. You should choose sturdy materials that can stand up to wear and tear. 3. How much can you spend? The size of the budget is a vital consideration for remodeling. Your budget will determine whether you can get that countertop or backsplash you really want. You may have to make adjustments to your remodeling plans if some items are too costly. 4. How long will it take? Major kitchen remodeling projects often mean limited access, so that means you will have to make other arrangements while the work is ongoing. The start and end dates for the project are important pieces of information. Proper planning will ensure that you can start quickly, and help in meeting the projects deadline. 5. Do you need more floor space? One of the issues addressed by many kitchen remodeling projects is limited square footage. This is not a decision to be taken lightly, as it may require expanding the home or removing an interior wall. Doing a buildout is usually cost effective option that takes less time than the typical home expansion. When you know what your needs are, the remodeling plan will come together quickly. The questions listed above are among the ones asked by many contractors before starting remodeling projects. Tile has been used to create visual appeal and focal points in homes for years, and while there are so many options available, many homeowners seem to choose white subway tiles. Well, now, the newest trend seems to be black subway tiles and we love how homeowners like yourself are choosing to place them in almost every room of the house! Lots of people use tile in their shower, but we recommend that you consider using black subway tile instead of all your other options. When you choose to tile your shower from top to bottom with this tile, you are going to be creating a luxurious look that will instantly be the focal point of your bathroom. Subway tiles are always the perfect option for backsplashes, but when you choose black, you are making your kitchen look a little more unique. While you can coordinate this color with almost any other, it looks extremely good in an all-white kitchen. Everyone seems to think of black subway tiles as shiny and smooth, but you can also find them in a matte finish with an uneven texture. These tiles will look fabulous in a bathroom around a vanity and a mirror, plus they will add a different type of visual appeal. There is no steadfast rule that states that entryways need to be boring and full of drywall, which is why we want you to consider upping your game in that space with a little black subway tile. Instead of covering all the walls, we recommend installing these tiles about a third of the way up the wall, so that they reach the level where a chair rail would be placed. You can even mix and match black and white subway tiles on the floor to really improve the look of this space. Many people choose bricks or paneling for the outside of their bar, but we want you to switch things up a little with black subway tiles. These tiles will match many décor styles, as well as many other colors that you want to use in that area. While you are going out and grabbing black subway tiles, we want you to think of where else you can use them in your home. We know that you can find a few other places in addition to the ones above, and you will love the look of every single space afterwards! Remodeling a kitchen is a massive undertaking, which is why you need to plan carefully to ensure that the quality and functionality exists at the end. Many people who forgo the planning stage will find themselves with a kitchen that isn’t very user friendly, and that is why we want to encourage you to take the time you need to plan every aspect of this space. Some people choose to wing it with their kitchen remodeling budget and then wonder why they do not have the money to do all the finishing touches at the end. Or they find themselves with a half-completed kitchen and no money to do anything else. We recommend that you determine your budget and then do a little research as to how much everything you want is going to cost. You may want those marble countertops, but if they will blow your budget, you may need to find a different material that you love just as much. While you can use all your budget for things you need to purchase and the work that needs to be done, we do encourage you to set at least ten percent of it aside. That is the money that you can use if something unexpected comes up, so you do not need to rethink the rest of your costs. If you are the type of person who hates it when other people are underfoot, you are going to want to choose your layout carefully. We always tell people to think of how they would love to use their kitchen space and then create a layout that works best for them. Your most popular layout choices are L-shaped and U-shaped, but you will need to choose the one that will have the amount of space you will need. You may think that you want your dishwasher in your new island, but if it is halfway across the room from your kitchen sink and the cabinets where most of the dishes go, it may not be the right choice. We also recommend that you make sure that you have enough countertop space and that you leave enough room in between appliances, cabinets, and islands for people to walk through without making other people move. You are going to have difficulty with part of this process, as it can be overwhelming to try to think of how you want to use a brand-new space that you are not used to. However, the choices that you make now will ensure that your remodeled kitchen is the one that you have been dreaming about forever. There are hundreds of kitchen cabinets that you can choose from, which is why you need to know the basics before you even step foot in a store or start flipping through a catalog. Being unprepared can cost you a lot more money, plus you may end up with cabinets that you are not completely in love with. The first thing that you will need to do is determine what your budget is for your cabinets. This price tag can easily be approximately fifty percent of your overall budget, so don’t panic when you realize the true cost. Once you know how much money you have available to spend on cabinets, it will be time to measure your space. This will allow you to have an idea of how many cabinets you can squeeze into your kitchen. As soon as you know your measurements, you can finally begin looking at cabinets. However, please be aware that there are stock, semi-stock, and custom cabinet options. All stock cabinets are going to be the cheapest and most readily available. These all come in standard sizes that work well in most kitchens. You may want to consider a semi-stock cabinet if you want a certain design or feature that is not available on the stock cabinets that you look at. Custom cabinets should always be your last option when possible, as they cost the most and take the longest amount of time to get. Each one needs to made according to your specifications, which means it could be weeks or months before you can install them in your kitchen. This is an excellent option though if you have one or two odd sized spaces that only a custom cabinet will fit into. If you are looking for features that include pull-out shelves, a lazy Susan, vertical dividers, or pull-out bins, then a semi-stock or custom cabinet is going to be your best choice, as they can both be customized with the features you desire. Any cabinet that you choose should be made from quality materials, so that they last as long as possible. While you may not be able to afford custom cabinets, that doesn’t mean that you should need to settle for subpar cabinets that will need to be replaced in a few years. Therefore, look for a manufacturer or supplier that specializes in finding cabinets that are of excellent quality without the bigger price tags. Your contractor should be able to share what they think is going to be your best option, so that you do not need to worry about making a mistake during this entire process. That way you can comfortably make a decision and know that it is one that is best for you. Every homeowner wants to increase the value of their home, but while they are making improvements, they also want to make sure that they are getting a good return on their investment. Some remodeling projects offer better return of investments than others, which is why you need to be careful of what you choose to do in your home, especially in a room like a bathroom. Everyone loves having a tub separate from the shower, so this feature will automatically increase the value of your home if you do it right. When you are installing the tub, you should place it where you can see a beautiful view when you are using it, if possible. We recommend adding tiles that look like marble to make this tub stand out in the room. For years, homeowners were installing laminate or granite countertops in their bathrooms. Well, if you want an excellent ROI from your remodel, we recommend that you cover your sink and the countertop with a concrete overlay. You can choose a basic concrete look, or you can add pigments and additives for a slightly marbled or speckled finish. Some bathrooms are smaller than others, which is why we love installing barn doors in them. Since this door slides from side to side, it does not take up as much space as one that opens up into the room. While many of these doors are available in wood, you can also find them available in all types of glass, so you can add a little visual appeal with your focal point. We all love the look of wood, but you know that it just isn’t going to last if you use it inside your shower. Well, we have a solution that will give you the look that you want without all the hassles! There are tiles that look like faux wood, and since they are available in many shades, you can find the perfect one to match your favorite piece of wood. Choosing any of these four ideas, or carefully considering many others, will ensure that you get the best ROI from your bathroom remodel. Your contractor can help you figure out which options are best for you and your home, so that you can enjoy the space when you are living there and the ROI when you go to sell. Have you been dreaming of shiny new materials that are clean and elegant looking in your bathroom? Have you been wondering if it is worth the effort to do some minor renovations or if you should just live with what you have? Well, we all need a tranquil place where we can relax, so we think that a bathroom remodel is going to be just what you need this year! A bathroom remodel can be as simple as changing out the fixtures or as elaborate as tearing everything out and replacing it all. That means that you need to decide what you want to do in this space and create a plan and a budget from there. While many people will determine their budget for a bathroom remodel first, we think that it needs to be done after you know what you want to do. After all, there is no point in setting a thirty-thousand-dollar budget if you are just replacing your fixtures or thinking that you can replace it all on a budget of two thousand dollars. Whatever you do, make sure that you stick with your budget and consider cost-saving measures whenever you can. You may think that you can remodel your entire bathroom on your own, and you may be able to it if you are only making a couple minor changes. However, if you are thinking about tearing out the shower, replacing all the tile, installing a new sink and toilet, and possibly switching out the layout of the room, hiring a contractor is going to be your best option. Yes, it will cost you more money to hire someone, but you will at least know that everything is done the way that it should be and it will take a lot less time. If you are doing a complete remodel of your bathroom, we recommend that you check the drywall and other structural elements while you have everything torn apart. It is always better to check for damage from moisture before you put everything back together, so there are no major issues later on. We also recommend installing moisture resistant drywall in certain areas, like in the shower, to avoid moisture buildup in the future. 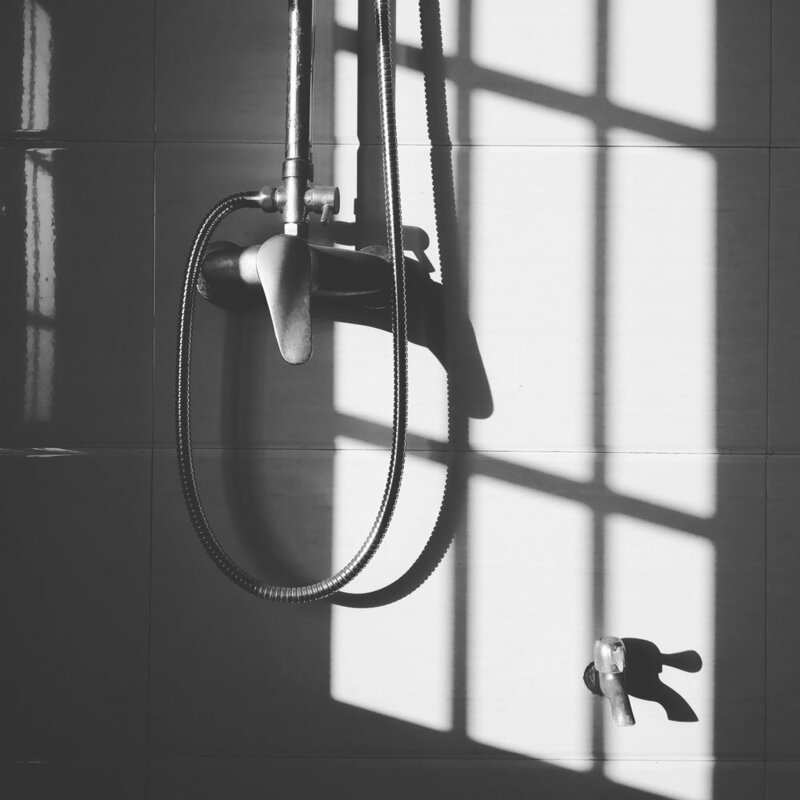 If your budget is lower than you would like, you may want to consider repairing or refinishing a tub and shower instead of replacing it completely. These two options can save you some money and you will still have a tub and shower that looks like new. These five tips will make your bathroom remodel in 2019 much easier, although do not expect to have no issues at all. Everyone has at least one problem during remodeling projects, so even if you are completely prepared and have planned everything out, you will still have something go wrong. Don’t stress over any of those unexpected issues and just remember that sooner than later you will have the bathroom of your dreams. There are so many different components to a kitchen remodel, which is why we always urge our clients to create a plan well before they begin. After all, there is nothing worse than demolishing your kitchen and having no clue how it is going back together! Kitchen remodels are not cheap, but they do not need to drain your savings account either! We always recommend setting a budget right away and then choosing your materials and new appliances accordingly. You may not be able to get everything that you want, but you should be able to get most of it if you are careful with your choices. Yes, larger kitchens are amazing, but you need to make sure that your budget and home can take on that extra space. While you can also try to steal some space from another room, we encourage you to think about that twice to make sure that you will not miss that extra space in that other area. Keeping the same layout that you have will not cost you extra money, because you will not need to move plumbing and electrical features. Therefore, if your current layout works well for you, please keep it. However, if you simply cannot stand your current layout, or it definitely does not fit your current needs, make sure that you factor that into your budget. All those newer appliances that have all the bells and whistles are wonderful, but they do come with higher price tags. One other thing that you need to keep in mind is whether you will need to install custom made cabinets or other special installations once you choose your new appliances. These extras can also create additional costs, which will chip away at your budget quickly. Gone are the days of having one bright light hanging from the center of the ceiling in your kitchen, which is why we always recommend installing numerous lighting fixtures when you remodel. We encourage you to consider installing lights over an island, over where you will eat, where you will meal prep, and even along the floor for lighting in the middle of the night. When you keep these five factors in mind as you are remodeling your kitchen, you will be successful throughout the entire process. It will definitely take some time to get everything in your new kitchen completed, but once it is, all your hard work will have payed off and you will be busy whipping up your first meal! Your kitchen most likely just got through the busiest time of the year with all the entertaining, cooking, and baking that you did! That means that the kitchen, and you, are ready to implement a few changes in the new year. After all, you probably found a few things that didn’t work right in this space when you were spending so much time in there, so why not change them now before you get too busy and forget all about it! Your kitchen has probably gone from well-organized to slightly cluttered after all the holiday hoopla, so the new year is the perfect time to do a little decluttering. You know what we are talking about! All those dishes that you simply shoved into a cabinet, saying you would deal with putting them where they really belong later on… Well, now is the time! Toss anything that you haven’t used in a while, along with anything that is broken or has missing parts. Yes, that includes all those plastic containers with no lids, or those lids with no containers! One of the best ways to add a little visual appeal to your kitchen space is to update your cabinets. You can do this with a fresh coat of stain or paint or you can purchase new cabinet doors if you are looking for something completely different. When you are finished, we also recommend updating the hardware on your doors and drawers, as that little change can make a massive difference. Sometimes all you need to do to freshen up your kitchen is add a new coat of paint to the walls. This can be the same color as what you have, or you can change things up with a brighter or bolder color. Your kitchen sink worked hard over the holidays and you may have noticed that it isn’t looking as nice as it did when you installed it. You may have also noticed that it didn’t work well for all those dishes that you were doing. Well, this is the time to make that change and install a sink that will meet your needs for the future. There are many different options and colors available, so choose the one that will work best for your needs. If you have noticed that you do not have enough lighting in your kitchen, now is the time to add a few new lighting fixtures. You should have lights over your dining area, your island, your work spaces, and even under your cabinets, so you can see no matter where you are in this space. These are five changes that you can make to your kitchen to update it for the new year, but they are not your only options. We recommend that you take a look around your kitchen and see exactly what you need to do to turn it into your dream kitchen once again. The backsplash in your kitchen can add quite the visual appeal to the space, which is why you need to be careful as you are designing it. One wrong material or wrong placement can mean the difference between an amazing piece of art and a disaster. It is very important to match the colors that you will be using for your backsplash, which is why we recommend taping samples up on your walls and looking at them carefully throughout the day as the light changes in the room. What looks nice together early in the morning may end up clashing as different lights hit that space later in the day. Do not be afraid to mix in a few pieces of another material to tie this space into other areas of your kitchen. This is the perfect way to get the flecks of colors from your countertop to match your backsplash. While all your backsplash is important, it is the high-impact zone that we want you to focus on the most. This is the area where you want to play with the pattern or create a beautiful mosaic that will set this spot apart from the rest of the room. The materials that you use for your backsplash can cost anywhere from under a dollar per square foot to upwards of ten dollars or more. That cost alone may be what makes you choose one material over another. We recommend that you stay flexible when choosing the materials for your backsplash, as you may be able to find a cheaper option that still gets you the color and texture that you want for less money. There are many new eco-friendly options available for backsplash nowadays, which is why we love to encourage our clients to check them out as they are looking at materials. Many of these newer materials are not as expensive as some people think they are, which means that is can be a wonderful choice for your kitchen. Some backsplash materials are easier to clean than others, so you will want to find that out and choose the material that you have time for. After all, there is no point in going through all this work for new backsplash only to have it ruined in a few months. Installing beautiful backsplash in a kitchen takes a little time, because you need to make sure that you are creating a design that will be visually appealing in the room. The design that you choose should match the rest of the style and décor in this space too, so that everything doesn’t look thrown together at the end. Choosing materials for a bathroom remodel can be a major pain, especially if you have no idea how you want the space to look afterwards! There are so many options to choose from and one wrong decision can leave you hating your new bathroom for years! We recommend that you start this process by doing a little research to see what captures your attention the most. Pinterest is a great place to start, as you can pin what you like and pull it up later on. This is a great way to see what type of shower you like, what vanity you fall in love with, and even find the perfect lighting fixture for this room. Once you have narrowed down all your options and found exactly what you want, it is time to make a plan. While you may think that you can choose just one option for everything, we urge you to have a backup plan just in case something you love is out of your budget or no longer available. After you have all your materials listed, we recommend creating a mood board to see if everything will look as good as you think it will. These boards can be created online, or you can do it the old-fashioned way with poster board and a little tape or glue. Now that you have narrowed down all your options, it is time to go out and find all those materials that you want in your newly remodeled bathroom. You can start in home improvement stores and then search online for those items that you cannot find. Do not forget to check out antique shops for all those vintage items that may be on your list. We do recommend checking with your contractor before purchasing all these materials, in case they have a concern about the installation of some of them. This is also where your back up plan may come into play, since you may not be able to find everything on your list. If that happens, you may need to decide whether you want to wait for the item to become available again, if it will, or choose your second favorite option on your list. We urge you to take your time with this process, as choosing materials should never be rushed. After all, you want your newly remodeled bathroom to be the one of your dreams, so don’t make sacrifices that you are not sure you want to make before you even start! Don’t you just love walking into your bathroom and having it look like a tornado swept through, tossing everything into one massive heap? Or was that your family? If you are tired of your bathroom looking that way and not being able to find exactly what you need when you need it, you may be ready for a little organization in the new year. We promise that it will not be that difficult and that you will be more than happy with the results when you are done! You may think that you use everything that has made its way into your bathroom, but when was the last time you really checked? We can guarantee that some of those bottles are empty and a few of those makeup items are past their prime. You may even find a few things that you no longer use, so toss it all and see how much your better your bathroom looks already! Baskets can hold a wealth of products and keep it all corralled until you need it. These baskets can be placed in your cabinets, on shelves, on the floor, and you can even hang smaller ones on the wall. The idea with this tip is to group like items together within each basket, so you and everyone else knows where to find things and where to put it all back. Drawers in bathrooms can become a jumbled heap after just a day or two of people rummaging around, which is why we recommend adding dividers to each one. This will allow you to separate all your items and you will have an easier time of finding exactly what you are looking for. Do not let all that space above your toilet go to waste! We recommend adding some type of shelve above this space to hold items that you need. This is the perfect spot for the baskets that we mentioned above as well. While these shelves will be helpful, we want to urge you to not pack them till they are overflowing, as it won’t make your bathroom look any better than it does now. Apothecary jars or other types of jars will work perfectly for all those smaller items in your bathroom. Think of the cotton balls, hair ties, barrettes, Q-tips, and other everyday items you use. All those hair styling tools take up a lot of space, but you can corral it all inside one of the numerous hair stations that are available. These organizers can also hold hair styling products, brushes, combs, and even hair ties and clips. These six tips should help you get started on organizing your bathroom in the new year! You may need to implement a few other options to make this space work best for you and your family, but that should be easy if you take a step back and look around the space as you continue to rearrange. If you have spent months or years complaining about how little room you have in your house or how outdated it is, 2019 might be the time that you finally start on that whole home remodeling project! There are so many things that you can do to your existing home, which means that you can finally have your dream home without needing to leave the neighborhood that you have fallen in love with! Yes, it is nice to say that you want to make changes around your house, but you need to know exactly what changes you want and what the finished project will look like before you begin. We recommend sitting down and coming up with a list of things that you want and need in your newly remodeled home, as it will give you a starting point to work from. Now that you have a vision, it is time to create a budget that you can work with. The budget you have may not cover everything on your list, but it will allow you to see exactly what you can and cannot have. Make sure that you place between ten and twenty percent of this budget aside for any unknown issues that may arise during the project. Hiring a contractor is much more difficult than doing a Google search and picking the first name that you see. You will want to interview a few contractors to see which one will fulfill your needs the best. We recommend choosing a style and design that you will want to live with for another ten or twenty years, as well as one that will resell easily in the future, as it will give you more bang for your buck. The style that you choose should be incorporated throughout your entire home, so make sure that it is something that you love. As you are going through these steps, you may find that your budget simply isn’t going to cover everything that you want in your newly remodeled home. While you could let that deter you from getting started, we have another option. We recommend that you begin the project and fulfill as many items on your wish list as you can. Plan ahead while you are doing this, so that you have any duct work, electrical lines, or plumbing in place for the future when you are ready to finish the work that you couldn’t complete now. These five steps will get you completely prepared for your whole home remodel in 2019, which means you will be ready to hit the ground running when it is time to start the work. Are you aware that the cost of the materials that you choose for your kitchen remodel is what is going to take up the most of your budget? It’s true, which is why we always caution our clients to choose their materials and finishing touches carefully, especially if they are working on a tighter budget to begin with. The countertops in your newly remodeled kitchen is one of the biggest tickets items you will have. In fact, it can be super easy to use more than half of your budget on just this one item! There are multiple materials available and each one has its advantages and disadvantages. We suggest sitting down to weigh the pros and cons of each one before making a decision, as you may find that one of the cheaper options will benefit you more than the higher priced ones. The lighting in your newly remodeled kitchen is very important, yet most homeowners like yourself are more than willing to forgo some of these finishing touches. Whether it is an oversight on their part or simple denial, the truth is that you need numerous lights within this space in order to see what you are doing. We recommend installing different lighting fixtures throughout the kitchen and having each one meet the requirements of the space that you are putting it in. The windows in your kitchen will bring lots of natural light into this room, which is why we often do not recommend skimping on this feature. However, this may not be the best space for a massive bay window or other custom window sizes. New cabinets can cost a small fortune, especially if you have them custom made for your space. That is why we recommend refinishing the cabinets that you have if they are in good shape or ordering stock cabinets whenever possible. The floor in your kitchen will not take up a huge amount of your budget, but it can add to the costs depending on what material you use. Laminate flooring can be purchased for a lot less than real wood floors, which means you can save a significant amount of money right there. We recommend that you work closely with your contractor to choose materials and finishing touches that will last a long time without breaking your budget at the same time. Contractors are a wealth of information when it comes to these items and they know which ones are often better than some of the others. Having a home improvement checklist does not mean that you will get around to these tasks before the end of the year. As the holidays draw near, you might realize that you still have a few things to get done. 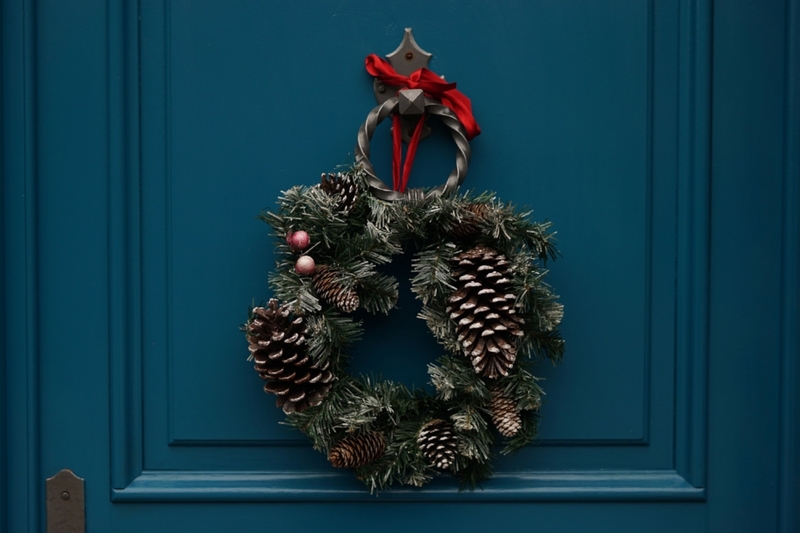 Here are some good ideas you can use to get your home ready for the festive season. Refinish kitchen cabinets. Instead of dealing with the lengthy, and possibly costly process of replacing cabinets, choose refinishing. After sanding and repainting, it will look like you put in brand new cabinets. Complete the look with new, stylish hardware. Decorate the breakfast nook. Make the breakfast nook stand out with some simple decorating choices. Look for ways to add color, such as a tablecloth, or drapes. A flowering plant is another good addition to this area. Beautify the entryway. Improving the look of the entryway can be done quickly and with very little spending. Get an umbrella stand, and consider a fresh coat of paint. A plant and a piece of art can make a big difference to the look of the entryway. Change the backsplash. A new backsplash can bright then entire kitchen, making it seem like you did a major remodel. Consider the wide range of material options which include wood, metals and marble, just to name a few. Install new sinks and faucets. Give the kitchen or bathroom a mini facelift simply by putting in a new sink and faucet. The attractive designs and finishes are sure to enhance the look and add a modern touch. New kitchen countertop. As the central design and functional element of the kitchen, the countertop has a big impact on overall style. Granite is still at the top of the list for many homeowners, but cheaper options like quartz, concrete and crushed glass are becoming more popular. Consider factors like long term durability and the kitchen’s color scheme when making the selection. Increase storage. Finding ways to get rid of clutter will help to get your home ready to receive guests for the holidays. A small pantry or buffet can increase storage options in the kitchen. For other parts of the home double duty furniture should be help with any storage problems you have. One or more of these improvements should be on your checklist. If you are able to complete some of these tasks now, there will be less work to do in the coming year. A tub and shower combo can give away the age of some bathrooms. Recent bathroom trends have seen less demand for standard bathtubs. Elegant showers with modern features are not only more attractive, they are also safer to use in many instances. If you realize that it is time to get rid of your old bathtub, here are some inspirational ideas that will help to make a grand statement. Turn of the water supply before beginning the work. The drain and overflow should be removed first. The removal of the spout may require a bit of cutting away of the wall, while some types can simply be twisted off. A lubricant may be necessary to loosen joints, especially for an old tub. The manner of disposal will depend on the type of material the tub is made from. Steel tubs coated with porcelain should be thrown out whole, while fiberglass or cast iron tubs should be broken up first. Enclosures – These vary in style, and you can build your own enclosure and order custom doors to fit. Other options for enclosures include seating, cubbies and shelves The doors can slide or open outward. The type of doors – Whether you choose sliding or swinging doors, they can be either framed or frameless. The disadvantage with swinging doors is that they take up space when opened, plus they can cause water to drip onto the floor. Walk-in shower – These are distinctive for their lack of a curb wall, giving them a larger appearance, and they can make the bathroom seem larger as well. They can have glass doors or curtains, and they are easier to clean. The design makes wheelchair accessibility possible. The showerhead – When designing a shower, the type of showerhead must be considered. A showerhead can be ceiling or wall mounted. Showerheads with different settings are available, which helps give a spa like experience. Fixed showerheads are still widely used, but you may enjoy having the option of a hand-held feature. With custom enclosures you can choose the embellishments that will add to the décor of your bathroom. Be mindful of the space you have, and if necessary, opt for a smaller shower to make the bathroom roomier.